If you’re anything like this Nerd, you may find yourself frequently moving from one apartment to another. Whether it’s an upgrade to go along with a higher salary, or simply a change of scenery, many of us love to hate moving and do so frequently. But between asking around for free boxes and trying to comprehend how you’ve acquired so much stuff, watch out for your credit! Here are three ways moving could impact your credit score and how to deal with them. 1. A credit check from your apartment management will initiate a hard inquiry. Because of the minor impact of a hard credit pull, it’s generally not a huge concern. However, if you’re initiating multiple hard inquiries each year, you could hurt your score more significantly. Hard inquiries may include: applying for credit—such as credit cards, mortgages, loans, etc.—or applying for a good or service that requires financial responsibility—such as cell phones. Solution: To keep your credit score from suffering death by a thousand inquiries, you should limit your annual credit applications and take advantage of rate shopping when possible. This will keep your inquiries low and your credit score high. A new study released by the Urban Institute states that over one-third of Americans have an account in collections. But what does this have to do with moving? An account can easily end up in collections because it isn’t forwarded correctly, instead being sent to an old address. There are two easy things you can do to prevent such a mixup. Solution: First, change your address with the U.S. Postal Service before you move. It will forward your mail to your new address for one year. By that time, you should have your address changed on all of your accounts. Remember to update your address on your accounts as soon as possible, though—no reason to leave anything up to chance. While you’re updating your address, you should enroll in paperless statements and automatic bill pay. In an increasingly paperless world, it’s best to handle your financial dealings electronically. If you don’t want to use auto pay, have statements sent to your primary email so you can pay them before the due date. 3. You’re putting too many moving expenses or new purchases on credit. Moving can be expensive. 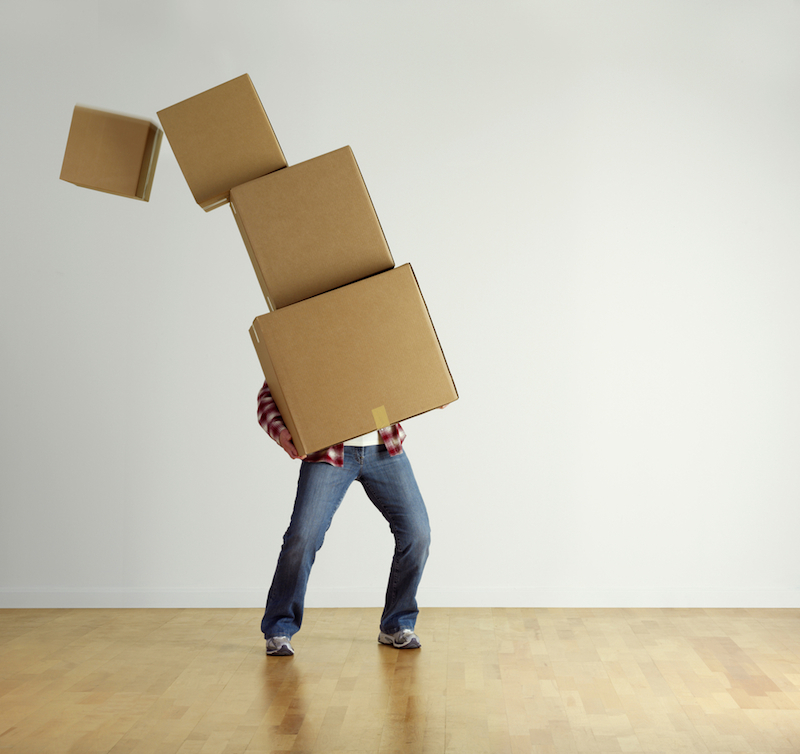 Between paying for a moving truck and covering your security deposit and first month’s rent, it may be tempting to put moving-related expenses on credit. This is all well and good, but only if you have the funds to pay off your credit card in full before the due date to avoid accruing interest. Solution: Save money well before your move-in date to cover all moving-related expenses. And in the case of buying new stuff for your new place, purchase the decor of your dreams slowly as you have the money. Your home shouldn’t be a source of stress, so make sure it isn’t filled with things that are hurting your finances. Bottom line: Moving can hurt your credit score, but only indirectly. To keep your credit from being damaged by your upcoming move, avoid getting too many hard inquiries in any given year, change your address with the USPS and switch to paperless billing, and don’t buy anything moving-related or otherwise that you can’t pay for before your credit card due date.